Pizza Margherita : Tomato, Mozzarelle, Basil Pizza Playa Blanca Pizzeria - Italian RestaurantTakeaway Playa Blanca - Takeaway Food Delivery Lanzarote.Delivery Available for Playa Blanca, Femes, YaizaFood Delivery Service - Lanzarote. Pizza Funghi : tomato, mozzarella, mushrooms. Pizza Playa Blanca Pizzeria - Italian RestaurantTakeaway Playa Blanca - Takeaway Food Delivery Lanzarote.Delivery Available for Playa Blanca, Femes, YaizaFood Delivery Service - Lanzarote. Pizza Regina : tomato, mozzarella, mushroom and ham Pizza Playa Blanca Pizzeria - Italian RestaurantTakeaway Playa Blanca - Takeaway Food Delivery Lanzarote.Delivery Available for Playa Blanca, Femes, YaizaFood Delivery Service - Lanzarote. Pizza 4 Stagioni : tomato, mozzarella,mushrooms, artichokes, ham, salami, olives. Pizza Playa Blanca Pizzeria - Italian RestaurantTakeaway Playa Blanca - Takeaway Food Delivery Lanzarote.Delivery Available for Playa Blanca, Femes, YaizaFood Delivery Service - Lanzarote. Pizza Marinara : tomato, garlic, anchovies, olives, capers, oregano. Pizza Playa Blanca Pizzeria - Italian RestaurantTakeaway Playa Blanca - Takeaway Food Delivery Lanzarote.Delivery Available for Playa Blanca, Femes, YaizaFood Delivery Service - Lanzarote. Pizza Alla Carne (Bolognese) . Pizza Playa Blanca Pizzeria - Italian RestaurantTakeaway Playa Blanca - Takeaway Food Delivery Lanzarote.Delivery Available for Playa Blanca, Femes, YaizaFood Delivery Service - Lanzarote. Pizza Ole Spain : tomato, mozzarella, mushroom, garlic and prosciutto. Pizza Playa Blanca Pizzeria - Italian RestaurantTakeaway Playa Blanca - Takeaway Food Delivery Lanzarote.Delivery Available for Playa Blanca, Femes, YaizaFood Delivery Service - Lanzarote. Pizza Capricciosa . Pizza Playa Blanca Pizzeria - Italian RestaurantTakeaway Playa Blanca - Takeaway Food Delivery Lanzarote.Delivery Available for Playa Blanca, Femes, YaizaFood Delivery Service - Lanzarote. Pizza 4 Formaggi - 4 Cheese . Pizza Playa Blanca Pizzeria - Italian RestaurantTakeaway Playa Blanca - Takeaway Food Delivery Lanzarote.Delivery Available for Playa Blanca, Femes, YaizaFood Delivery Service - Lanzarote. Pizza Vegetarian. Pizza Playa Blanca Pizzeria - Italian RestaurantTakeaway Playa Blanca - Takeaway Food Delivery Lanzarote.Delivery Available for Playa Blanca, Femes, YaizaFood Delivery Service - Lanzarote. Pizza Calzone : tomato, mozzarella, ricotta, pepper, salami, jam. Pizza Playa Blanca Pizzeria - Italian RestaurantTakeaway Playa Blanca - Takeaway Food Delivery Lanzarote.Delivery Available for Playa Blanca, Femes, YaizaFood Delivery Service - Lanzarote. Pizza Tonino e Cipolla : tomato, tuna, onions, and capers. Pizza Playa Blanca Pizzeria - Italian RestaurantTakeaway Playa Blanca - Takeaway Food Delivery Lanzarote.Delivery Available for Playa Blanca, Femes, YaizaFood Delivery Service - Lanzarote. Pizza Frutti di Mare : tomato, mozzarella and seafood. Pizza Playa Blanca Pizzeria - Italian RestaurantTakeaway Playa Blanca - Takeaway Food Delivery Lanzarote.Delivery Available for Playa Blanca, Femes, YaizaFood Delivery Service - Lanzarote. Pizza Tropicale : tomato, mozzarella, cooked ham and pinneaple. Pizza Playa Blanca Pizzeria - Italian RestaurantTakeaway Playa Blanca - Takeaway Food Delivery Lanzarote.Delivery Available for Playa Blanca, Femes, YaizaFood Delivery Service - Lanzarote. Pizza Bellissima : tomato, mozzarella, ham & corn. Pizza Playa Blanca Pizzeria - Italian RestaurantTakeaway Playa Blanca - Takeaway Food Delivery Lanzarote.Delivery Available for Playa Blanca, Femes, YaizaFood Delivery Service - Lanzarote. Pizza Snow White : 4 cheeses, cream and shrimps. Pizza Playa Blanca Pizzeria - Italian RestaurantTakeaway Playa Blanca - Takeaway Food Delivery Lanzarote.Delivery Available for Playa Blanca, Femes, YaizaFood Delivery Service - Lanzarote. American Dream Pizza : tomato, mozzarella, spicy salami, capsicum and chilli. Pizza Playa Blanca Pizzeria - Italian RestaurantTakeaway Playa Blanca - Takeaway Food Delivery Lanzarote.Delivery Available for Playa Blanca, Femes, YaizaFood Delivery Service - Lanzarote. Pizza Fioretina : tomato, mozzarella, ricotta, spinach and egg. 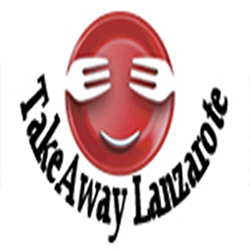 Pizza Playa Blanca Pizzeria - Italian RestaurantTakeaway Playa Blanca - Takeaway Food Delivery Lanzarote.Delivery Available for Playa Blanca, Femes, YaizaFood Delivery Service - Lanzarote.